The media keeps reminding us how debilitating alcoholism can be. 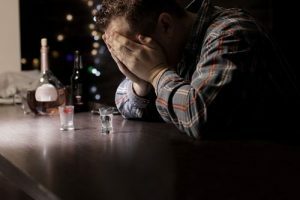 The definition of alcoholism presumes that alcoholics have the potential not to only ruin the life for themselves, they usually drain the people around them along the way. Are you looking for ways to help an alcoholic family member, friend, or colleague? Are you tired of seeing them burning bridges with their friends, spiraling down deeper into their addiction? Read on for 20 ways that will teach you how to help someone with a drinking problem. Some of your actions, although with the best of intentions, will backfire and fuel an addict’s alcohol abuse. Keep these pointers in mind so that you don’t unknowingly support their behavior. This one is a no-brainer. Make no excuses for an alcoholic. Wondering how to help an alcoholic spouse? Don’t enable them to sustain their addiction. Do not protect their substance use, even if it looks like they have learned the rules of safe drinking. This means you should separate yourself from all empathy towards their behavior. If you truly love the person, you will hate their addiction. There are countless cases where an alcoholic will end up in prison. He or she may have been driving under the influence of alcohol or have committed another alcohol-related crime. It is important you let them hit that rock bottom and realize what a mess their life has become. Let your alcoholic friend or family member realize the damage they’re doing to themselves and those around them. How to support an alcoholic and his or her behavior? Clean the mess they made. As harsh as this sounds, you should never take responsibility for the actions of an alcoholic. If you approve of their habits, an alcoholic will carry on acting as before, knowing there is someone they can use as a shield. Let them face the consequences themselves. Alcoholism, like any other substance addiction, is an expensive habit to fund. Unfortunately, an alcoholic who is out of pocket will always find ways to obtain money, even if they have to lie to get hold of it. If you’re sure your loved one is an alcoholic, don’t lend them money under any circumstances. The only exception being if they land in a hospital and need money for treatment. As obvious as it sounds, you should never partake in drinking with an alcoholic, even if it’s ‘only a drink or two’. By doing so, you are effectively encouraging his or her behavior – an alcoholic will feel as if there’s nothing wrong with their addiction. Try to find alternatives to drinking alcohol to relax together instead of supporting the drinking habit. A person who faces an alcohol use disorder will most likely deny there is anything wrong with them. He or she may say the habit only helps them to take the edge off, even though you know they’ve been drinking in excess. You won’t be able to get them to start working on themselves or even acknowledge the problem that easily. Not least because an alcoholic hardly cares about the impact he or she has on their lives and those surrounding them. All they care about is where their next drink is coming from. People often say knowledge is power and they’re not wrong. The more you know about the biological and social underpinnings of an addiction, the more resources you can resort to in order to try and address the issue. What’s more, you can draw from other experiences to empathize with your loved one and understand where he or she is coming from. You can help them to cope with desire to drink if you know how to stop craving alcohol. Being compassionate within reasons can help you connect with the alcoholic better. This doesn’t mean you should cover up for them or help them fuel their addiction. How to help an alcoholic spouse? Ask them about the stressors that are forcing him or her to seek refuge in frequent drinking. Compassion will open up new doors for you but remember not to take a higher moral ground or make the person feel like a loser. It is not your fault. An alcohol use disorder, whether sparked by genetic or environmental factors, is that person’s own choice. You are not responsible for its onset or the fact the person isn’t seeking help. Don’t convince yourself you’re the reason behind their behavior. This can nudge the alcoholic to use the feelings of guilt and manipulate you to give them money or cover up for their behavior. In cases where a person is abusing any substance, including alcohol, a confrontation is inevitable. Whether it’s an intervention or a one-to-one talk, your knowledge about the nature of the addiction will come into play. You may want to bring up the fact addiction isn’t any different to other disorders, like diabetes, or cancer, for example. Plan what you’re going to say in advance. Make sure you speak from a place of compassion. This way, you will not find yourself without anything to say and have more chances of persuading your loved one to undergo treatment. Books on recovery from alcoholism can also help one find the right words to reach the alcohol user. Your first meeting is likely to produce no results. Do not get discouraged by this. Alcoholics are highly unlikely to admit their problem and seek professional help right away. Instead of hoping for an immediate solution, start with opening up communication channels with your loved one. For example, if you’re wondering how to help an alcoholic family member, show them you care and have the best interests in mind. By doing this, you will provide suitable grounds for progress during your next meeting. There are several stages of recovery from alcoholism – and there might be several stages of persuading dependent individual to enroll in the treatment program. This is perhaps, the trickiest part in trying to help an alcoholic who doesn’t want help. One inconsiderate comment and the person can retreat back to their world of darkness. Be careful not to close the channel of communication forever and think before you speak. When under the influence of alcohol, a person will have difficulty thinking straight and clear. You can see why talking with them about their problem at such times could be a bad idea. Not only will the person disregard your motivations, he or she won’t be able to differentiate between what’s good and bad for them. An alcoholic woman or man is unable to control their emotions and thought when they are drunk. If you turn the meeting into a blame game there will be no mutual trust between you and the alcoholic. Want to help someone with a drinking problem? Don’t hurt them by saying they’re being selfish or inconsiderate. It appears that way, but would you blame someone for having cancer or any other disease? Be gentle and straightforward. When thinking about the ways to help an alcoholic, leave the accusatory ‘you’ tone out of the conversation. Instead, switch the focus onto yourself. Explain the ways in which his or her addiction has affected you and others involved. Describe the emotional and mental stress the behavior is causing. How to help an alcoholic friend? Point out how little time you’re spending together recently. Remind them of the good times you had. Often alcoholics will be more inclined to make a change if they realize the effect on those who care about them. On the spur of the moment, the addict may promise to turn over a new leaf and start afresh. In fact, what he or she is trying to do, is wiggle out of the conversation by falsely swearing to change. High-functioning alcoholics, in particular, are experts in making false promises and manipulating those trying to help. Make sure you follow up on their promises as soon as possible after the meeting and be prepared for the subsequent confrontation in case they’ve not stuck to their claims. Confronting an alcoholic, especially if it’s your loved one we’re talking about, can be extremely stressful and emotional. Moreover, they may try to blame you for his or her own addiction, which can be very upsetting. Even if he or she pushes all your buttons, stay calm and understand what they’re going through. Staying calm might even prompt the person in front of you to cool off and listen to what you have to say. The best you can do is try. After all, you obviously have a relationship with that person which can stand in the way of how objective and firm you are. As a result, you may not be able to motivate your alcoholic friend or family member into seeking professional help. If things go down this road, don’t be afraid to involve a professional alcohol intervention specialist. The interventionist will hold a session where he or she will point out the reality of the addict’s situation. More importantly, the interventionist will explain the consequences of carrying on drinking, which could inspire the alcoholic to agree and embrace change. As shocking as it sounds, caring about yourself is as important as caring about your loved one facing an alcohol use disorder. Most people overlook this simple practice and end up ruining their lives. They’re pondering over how to help an alcoholic family member, or how to help an alcoholic friend so much that they put too much stress on themselves along the way. Here’s how to remain safe, sane, and healthy in the process of helping an alcoholic. In the case you’ve exhausted all your means of persuasion, you have to distance yourself from the addict. This sounds brutal but you’re doing the right thing by cutting all ties. What other way there is to help an alcoholic who doesn’t want help? Sometimes, this change in attitude prompts the addict to realize the damage their behavior is causing. Don’t get so involved in the process that you find yourself being dragged along the same road the addict is taking. You don’t have to deal with the inner demons or come face-to-face with the hidden flow of emotions the addict throws your way. Connect with the substance abuser on a level where you can retain your sanity and objectivity. Again, it seems like a no-brainer, but don’t seek unhealthy stress-escape routes. Remember that an alcoholic is choosing the drink before his family and friends, and you’ll quickly find yourself repulsed by drinking yourself. You’ve taken up the challenge to help a loved one become sober. How to help an alcoholic? Never by yourself. There are others who have been through what you’re experiencing. If you know of no one to reach out to, try 12-step programs, like the Al-Anon, which are designed for family members and friends of alcoholics. And give yourself a big pat on the back. You’re doing the right thing by choosing to care, even if no one else, including the alcoholic, does.